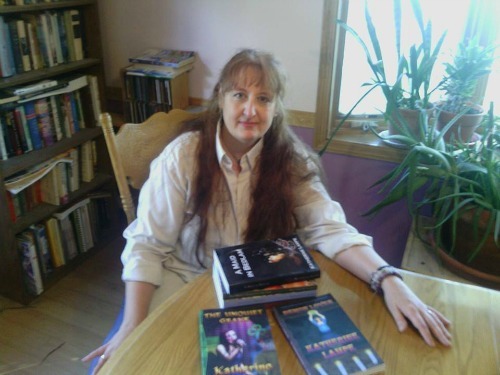 In addition to being an Iconoclast and unrepentant Geek, Katherine Lampe is a sometime musician, DJ, and author of the Paranormal Caitlin Ross series, which details the adventures of a witch in rural Colorado and beyond. She studied at the University of Michigan with Ken Mikolowski, and at Naropa University with Allen Ginsberg and William S. Burroughs. Her fiction has won the Detroit News Gold Key for short story and the Boulder Daily camera award for horror, and she is a book reviewer for Witches and Pagans magazine. The daughter of an English teacher and a self-professed heretic masquerading as a Presbyterian minister, she is interested in the individual’s relationship with the divine. Her work explores the interaction of the supernatural and the mundane in the lives of real people. Katherine loves Celtic music and Delta Blues, Indian food, and single malt whisky, and she’s a fantastic cook. When Caitlin Ross books her band at the new pub in town, the rest of the group is thrilled. She regrets it the second she sets foot inside. An expensive remodel can’t hide the owner’s rudeness or the vile atmosphere. When no one else notices, she wonders if she’s crazy—until a ghost’s appearance at the end of the second set forces her to confront a secret she’s been keeping for years. Caitlin’s a Witch, with the power to perceive things others can’t. An unbearable choice drove her to trade magic for a mundane life, and she wants nothing to do with the unseen world. As she struggles to maintain a normal life, Caitlin discovers the ghost isn’t the only problem at the pub. The site is the center of local legends and mysterious disappearances. Investigating further, Caitlin uncovers secrets, lies, and a web of dark magic set to strangle the town she’s learned to call home. She can prevent chaos from ripping friends and families apart only if she chooses magic over her own safety and makes a bargain she’s been running from for years. The power is hers to claim. The price: an unthinkable sacrifice. Autumn brings a new music festival to Gordarosa, Colorado, and Caitlin Ross’s band is playing! Hoping to get through the event with a minimum of arguing over set lists and placement, Caitlin soon discovers more trials await her than the usual hassles of the music business. On the first night, she stumbles across the body of one of the festival’s promoters. What seems a natural death at first glance proves murder when Caitlin detects the residue of magic around the corpse. With no authority to believe her, it falls to Caitlin, the only witch in town, to trace the spell to its source and bring the perpetrator to justice. The task appears straightforward, but murder is only the festival’s first calamity, and it’s not alone in having magical origins. A fairy amulet has unleashed the forces of chaos, and the resulting fights and riots put a hitch in Caitlin’s investigation. When she discovers the amulet belonged to the original victim, she suspects she’s found the motive for the crime. If she can find the amulet first, she can set a trap to reveal the murderer. To do so, however, she must wield a power unlike anything she’s ever dreamt of. The cost is her sanity, and possibly her life. After a longed-for pregnancy ends in heartbreak, Caitlin Ross plummets into grief and despair she believes can never heal. Worse, her husband and partner, Timber MacDuff, pulls away instead of offering her the solace she craves. When he leaves to attend to a magical problem he claims only he can remedy, the betrayal shatters Caitlin’s last hope of saving a marriage she assumes her shortcomings have destroyed. In Timber’s absence, however, Caitlin discovers her husband has been lured away by a ruse: An old foe has resurfaced hungry for revenge, and Timber is their target. Desperate to prevent another tragedy, Caitlin tracks Timber to a remote cabin outside Boulder, Colorado, where she finds him trapped in the wasteland of his own mind. To rescue him, Caitlin must marshal all her gifts and all her cunning. Only then can they join forces to end their enemy’s power once and for all. The price of failure is not only death, but losing both their souls. In a town where every third person claims psychic powers, Caitlin Ross is a rarity: a genuine Witch. Though she hides her abilities from all but a few, Caitlin’s magic goes hand in hand with a compassionate heart, and she can seldom resist a plea for help. When a friend requests her aid banishing a Shadow Creature raised in an ill-advised spell, Caitlin promises to do whatever she can. And she means to keep her promise no matter the personal cost, even after her friend runs off, leaving Caitlin holding the bag. Born in Scotland, Timber MacDuff grew up in America, where he apprenticed with a Native healer. Now ready to strike out on his own, he must complete a final test: locate a shaman on a dark path and remedy his horrific mistake. Timber’s quest leads him straight to Caitlin’s front door, and after a disastrous first meeting, they realize their goals are the same. Their best chance of success lies in working together. With the Shadow Creature endangering innocents, neither Caitlin nor Timber has any intention of addressing their growing attraction. But Fate joined them for a reason. For a soul’s salvation, two stubborn spirits must surrender to love, changing their futures for eternity. Caitlin Ross grew up in Detroit, but it never felt like home. With a mother who despises her and a pair of hypercritical sisters, she has reason enough to keep her distance. Memories of her year in a mental institution only firm her resolve never to go back. But Caitlin’s mother is dying. If she stays away now, Caitlin will lose her last chance of reconciliation. More important, she’ll never know why she never fit into her family, or why her mother spurned her from birth. Family matters take a back seat once Caitlin arrives in the Motor City and runs into her former psychiatrist. He needs help with a problem patient; seeing herself in the girl, Caitlin reluctantly agrees. Her inquiry leads her to the realm of Faerie, where a plot is brewing to change the shape of the mortal world through a process with the potential to destroy the Universe. Caitlin and her troubled teen ally can stop it, but doing so will force Caitlin to confront devastating knowledge about her own origins. Now she must choose between personal safety and the fate of worlds. Over a difficult winter, Caitlin Ross has led a simple life preparing for the birth of her first child. Now spring and her due date are imminent, and she’s about to find out that for a witch married to a shaman, life never stays simple for long. When she witnesses a chance encounter between her husband and Gordarosa’s new dance teacher, Caitlin discovers they once were lovers. Timber swears he wants nothing to do with his old flame. But the dance teacher has magic of her own, and she’ll stop at nothing to get Timber back. When a local girl with a crush on Timber is murdered, the sheriff arrests Caitlin’s husband for the crime. Caitlin suspects her rival of framing Timber out of revenge, and sets out to clear his name. In her quest, she uncovers a motive far deeper and more dangerous that simple retribution. 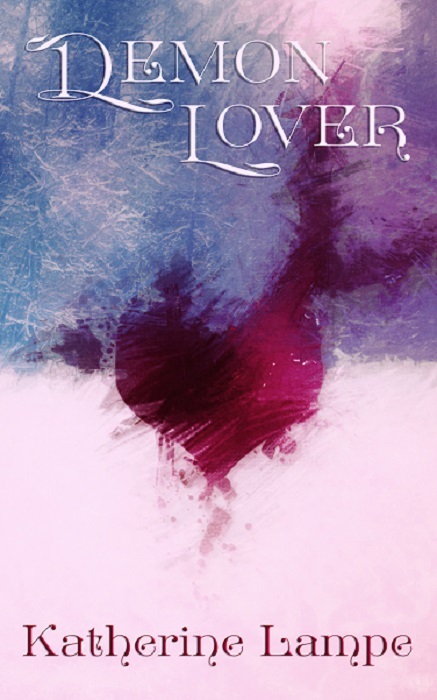 To bring Timber home, Caitlin must sacrifice her very being, and make an alliance with a Power as old as Love itself. A writer acquires a new pet and finds himself at the center of a struggle between rival crime lords...A harper plays a song to call down a curse and pays a devastating price...A wisewoman helps a fool become a king and learns why some stories capture the imagination while others are never told. In these seven tales of enchantment, explore a mythic place where battles end in a different kind of scar, where the rewards are not measured in gld or silver and where, as the wisewoman says, "The dragons we face are in the mind..."